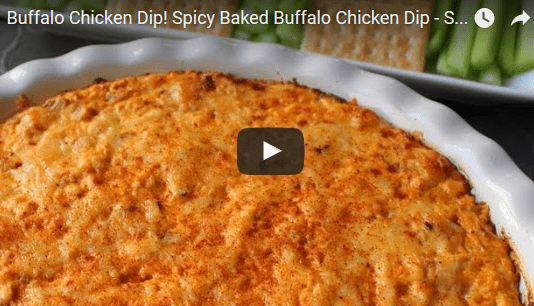 Baked Buffalo Chicken Dip is always a hit at parties and the best part is it’s easy and delicious! A friend brought this dish from Chef John at Food Wishes to a house warming party and everyone loved it so I wanted to share it here. You can watch the video below and there is a link to subscribe to Chef John’s YouTube recipe channel. He shares lots of great recipes there. In a large bowl combine chicken, cream cheese, hot pepper sauce, 1/2 cup pepper Jack cheese, blue cheese dressing, crumbled blue cheese, seafood seasoning, and cayenne pepper. Transfer chicken mixture to a 9-inch round baking dish. Sprinkle 2 tablespoons pepper Jack cheese on top. Bake 15 to 20 minutes, until lightly browned. Follow Chef John on YouTube.